Hapag-Lloyd Cruises have revealed details of the destinations of its two new ships, HANSEATIC nature and HANSEATIC inspiration. HANSEATIC inspiration will cater to an international clientele, with all cruises being bi-lingual, in both English and German, whereas HANSEATIC nature will cater to German-speaking guests. 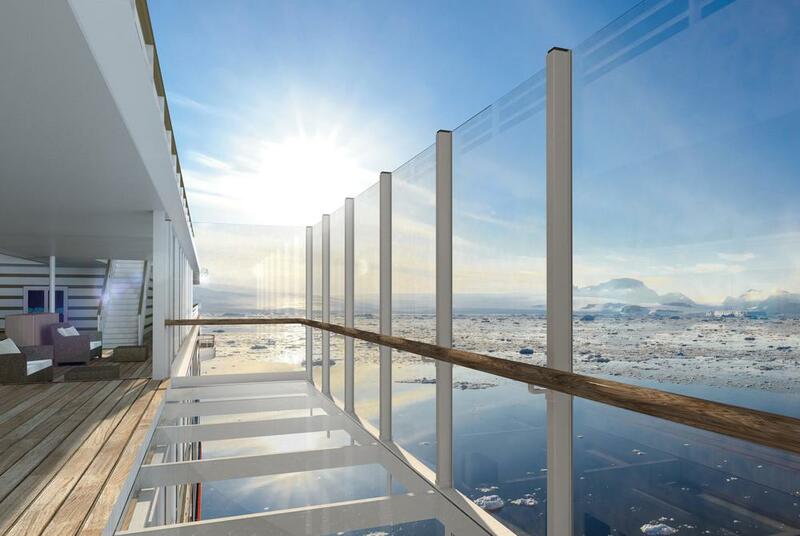 Both ships will feature ice-class hulls, with a rating of Polar Class 6, which is the highest class for a passenger ship. They will sail in the Arctic during the summer months and then sail down to Antarctica for the winter. In-between these polar cruises the ships will travel to the Amazon, the Chilean fjords, the Azores and Cape Verde. Hapag-Lloyd will be returning to the Great Lakes in North America with the HANSEATIC inspiration. With a retractable bridge wing, the special design of the HANSEATIC inspiration makes it possible for the ship to pass through the narrow locks. Both ships will feature retractable glass balconies and they have also been given a blue, undulating finish on the hull. 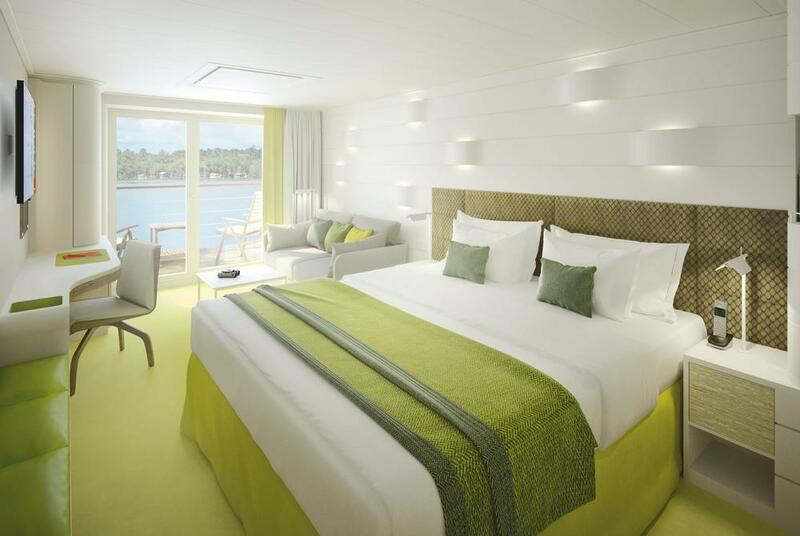 Onboard both ships there will be just 120 suites and cabins accommodating 230 guests. Cabins will range in size from 236 sq ft for the Panorama Cabin to an impressive 764 sq ft for the Grand Suite. All cabins will be outside with the majority featuring their own balconies or French balconies. HANSEATIC nature will commence its maiden voyage from Hamburg, departing April 2019, sailing to Lisbon, whilst HANSEATIC inspiration will sail from Antwerp to Tenerife in October 2019, calling at Honfleur, Guernsey, La Coruna, Islas Cies, Lisbon, Portimao, Casablanca, Porto Santo Island, and an overnight stay in Funchal. 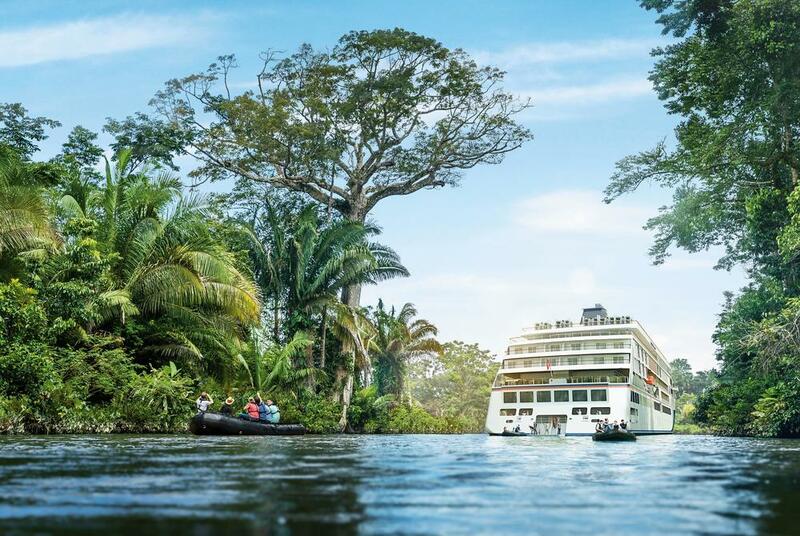 HANSEATIC inspiration Amazon cruises will depart from Belem to Iquitos sailing on the Lower and Upper Amazon with numerous expedition activities and Zodiac landings. The Great Lakes cruises on HANSEATIC inspiration include cruises on the Detroit River, Lake Huron (including Tobermory, Parry Sound and Mackinac Island), Sault Ste. Marie, Lake Superior (including Thunder Bay), and Lake Michigan.